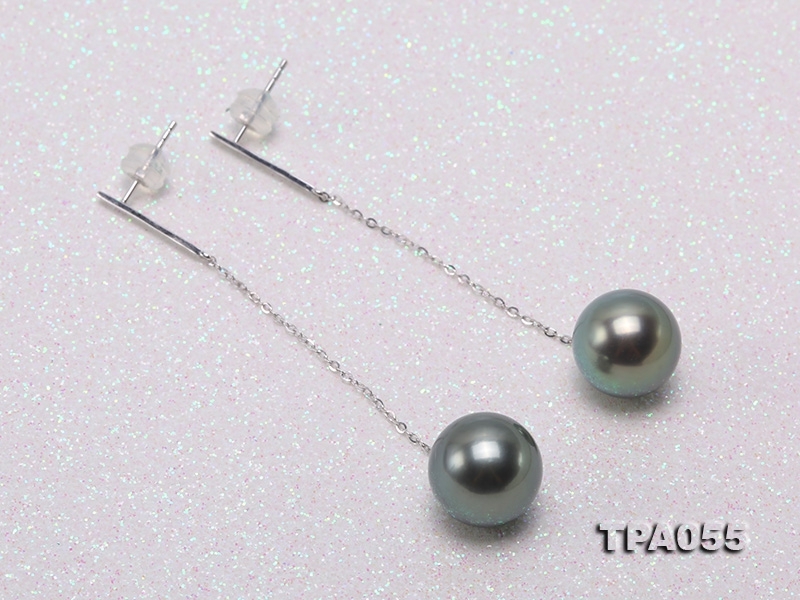 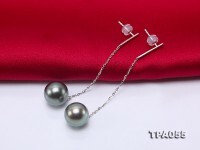 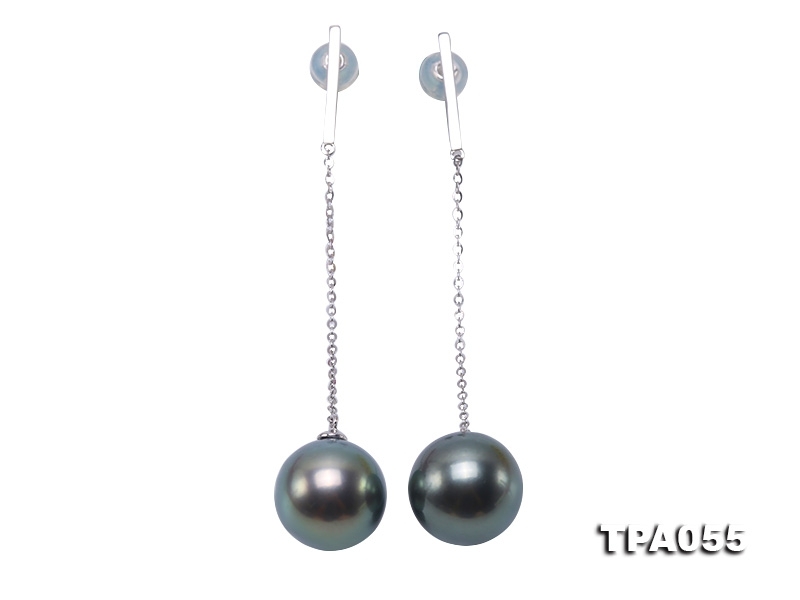 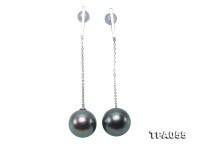 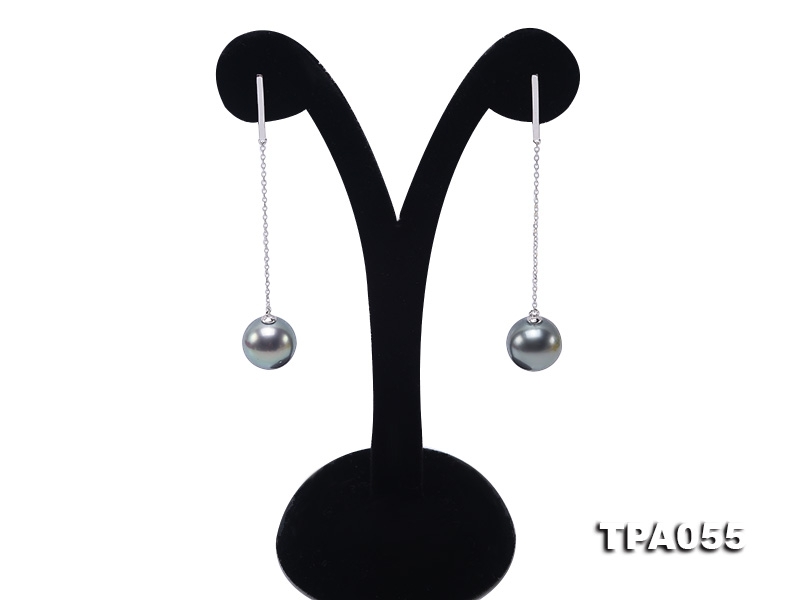 Charming Tahitian Pearl dangle earrings made with perfectly round 11.5-12mm black tahitian pearls and 14k gold chain and sticks. 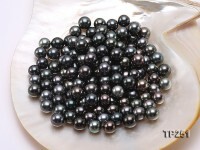 The Tahitian pearls have flawless skin and beautiful peacock green color (black with green overtone), which is the most valuable color in Tahitian pearls. 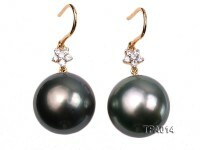 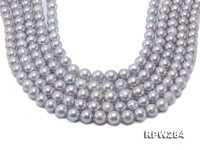 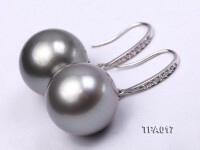 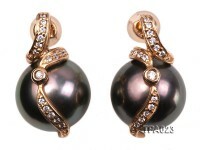 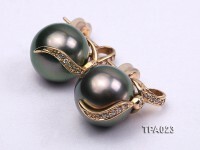 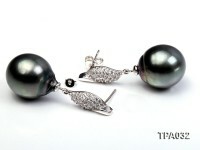 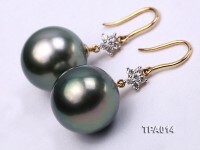 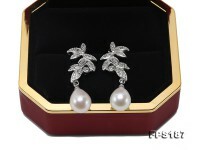 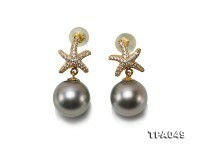 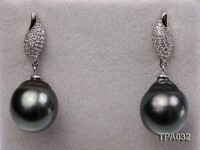 The mirror-like lustre of the pearls are so strong that your reflection can clearly be seen on the surface. 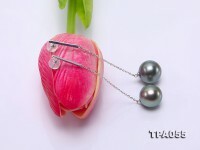 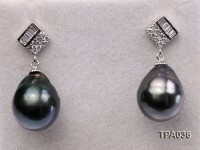 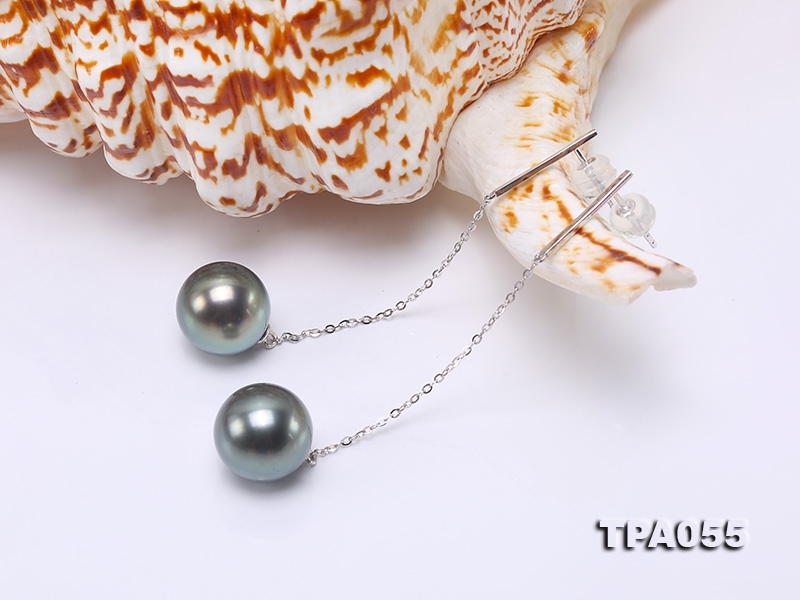 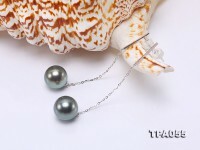 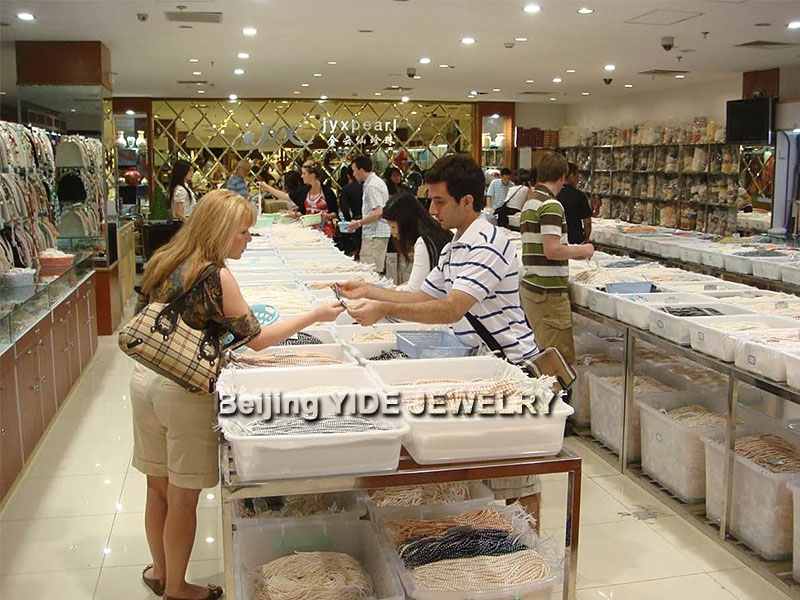 Tahitian pearls are highly valued because of their rarity; the culturing process for them dictates a smaller volume output and they can never be mass-produced. 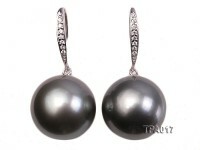 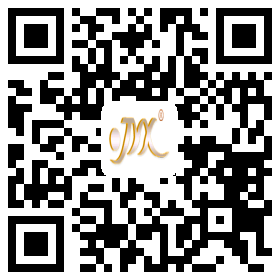 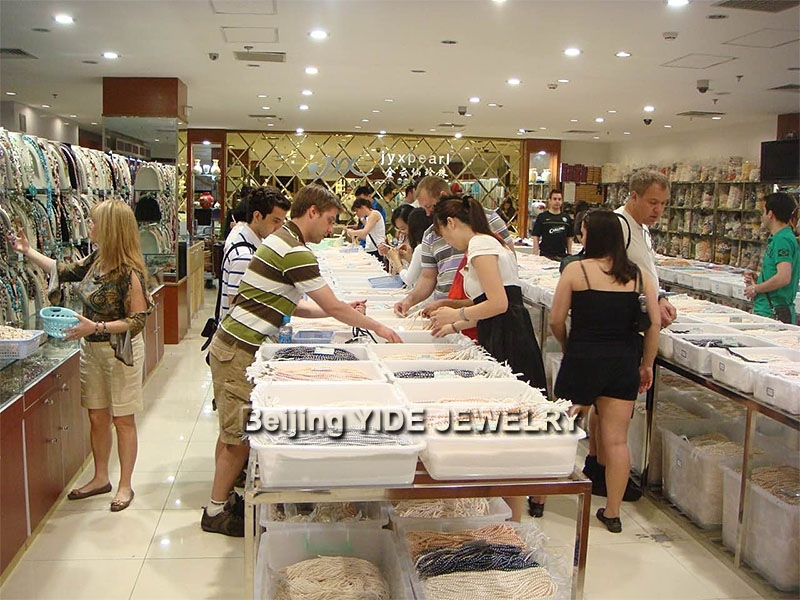 Their beautiful black color brings a sense of mystery and is adorned by people from all around the world.